Time for another crypsis challenge. Can you spot the critter hidden in this scene? Nice shot! That is some excellent camouflage! 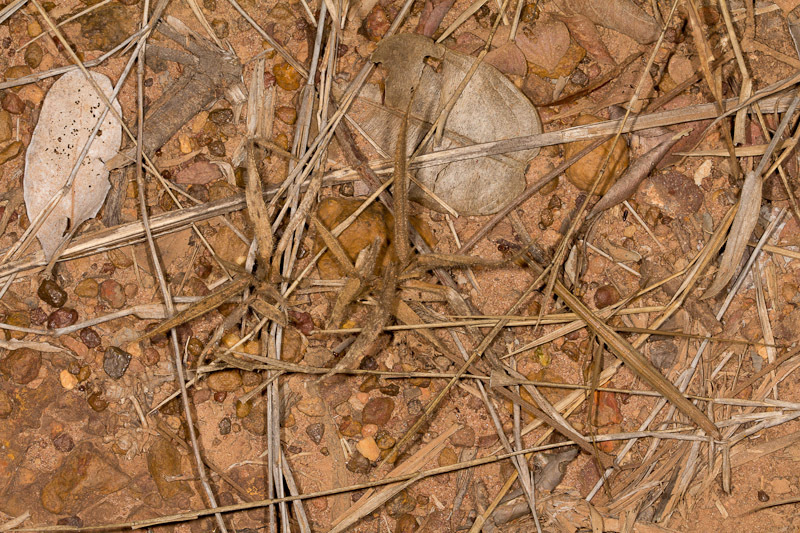 I was about to say walkingstick (lower right), but I think this is one of those stick grasshoppers (genus Proscopia). Is that a large stick insect in the bottom right? Looks like the back end is pointing right at the corner and I’m sure I can see 2 long legs and 2 shorter ones. Maybe a weird grasshopper or something. Yep, you found it, and it is indeed a weird grasshopper. This is a particularly difficult cryptic challenge! Nice stick mantis in the lower right hand corner. I photographed similar ones in Trinidad. I’ve been loving the photos! You spotted it and that’s a good guess on the id. It was actually a jumping stick.